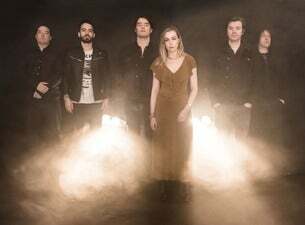 Anathema began their journey as pioneers of melodic heavy music, influencing a myriad of bands to follow them, before outgrowing all genres and limitations as they fearlessly explored new territory and ways to express feelings through sound. Formed in Liverpool in the early '90s, the band have since released over 10 studio albums and performed countless world tours. The current line-up consists of singers and guitarists Vincent and Daniel Cavanagh, their brother Jamie Cavanagh on bass, siblings John and Lee Douglas, respectively drummer and singer, and keyboardist Daniel Cardoso.